Imagine that you want to buy property to rent out. You find an ideal location, great space and just what you need. You go to buy that property and you are told that you can have it for the next 10 years…. Oh and you have to do it up, invest in it, look after it….. and then it might be taken off you. Sounds like a great idea? That is the challenge Travel Retailer’s face. It doesn’t end there though. There is a storm brewing. That storm is heading for Travel Retail and it is a perfect storm. 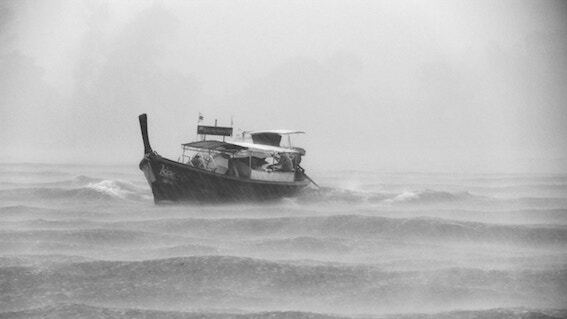 What does a perfect storm look like for our industry? As retail spaces come up for tender in ‘strategically important’ airports come up for tender, competition can be fierce. Not wanting to miss out, bid get higher and the earth is promised to seal the deal. Airports, needing higher revenues to fund growth, are likely to go with the highest bidder. With more and more Duty Free retailers putting their prices online, shoppers can now compare prices almost instantly. If you are in Retailer X and you will be flying through Retailer Y’s stores soon, you can check and compare the price. Hey, why not go the whole hog… check Amazon prices too. There may be many reasons why prices need to be different across the world. A bottle of Scotch in Scotland has a different cost relating to distribution compared to sending it to Hong Kong. With online retailers becoming better at what they do and distribution systems running efficiently, they can take a chunk out of the TR market. They do not have expensive shops to maintain, they can change their prices instantly and react to the market. Brands will naturally try and push through higher prices with the retailer as their costs rise. This puts the retailer margin under pressure. They either need to put prices up or reduce costs. With what seems to be ever rising concession fee’s, this puts pressure on profitability. Costs naturally rise each year thanks to inflation, wage costs and more. If the cost of running the store rise, this needs to be covered by selling more, raising prices or reducing costs. The first step that retailers take is to reduce headcount. This can often be a short-term approach and detrimental to the business. There is an old business story about a frog. Put a frog into boiling water and it will jump straight out because the temperature difference is extreme. Put a frog into cool water and gradually bring it up to boiling and it will die because it cannot sense the gradual change in temperature. Travel Retail risks being that frog. Travel Retail should be a highly innovative environment but it isn’t. Decisions to act can take years (remember, I came into TR from a world where a decision was made on a Monday, signed off on Wednesday and it was live in over 300 stores nationwide on Friday afternoon. I would literally run around that office). That storm I mentioned? It is about to get a little more perfect. Yesterday I read a book that confirmed some thoughts and ideas I have been having. A new pressure will be coming at Travel Retailers like never before. It is certainly operating on the fringes of our channel right now and it is about to hit mainstream. This new pressure is one that could destroy investment levels into the retailers and reduce costs for brands (good news for brands!) in one single step. We will be talking about that in Cannes (book an appointment with us to find out more and how we can help you overcome it – I am sure you will agree… we cannot give everything away!). So how do you solve a problem like the Travel Retail Concession Model? All is not lost. I believe that there is a lot that can be done to navigate this storm and come out of it stronger than ever before. There is a way to offset margin pressure, to insulate against ever increasing concession fee’s and to fight off competition from digital. It takes a different perspective; it takes action and it means faster decision making is required. Can Travel Retail survive the perfect storm? We think so and we will show you how. Make sure you get time with us in Cannes and book a meeting today. P.S. Remember to check out Red Kite Recruitment. If you are looking for people or a new role, click the link below to see how Jill Brocklebank can help you.